LVDA is excited to be part of this new PK-8 school in Chicago’s North Lawndale neighborhood, which broke ground last week. 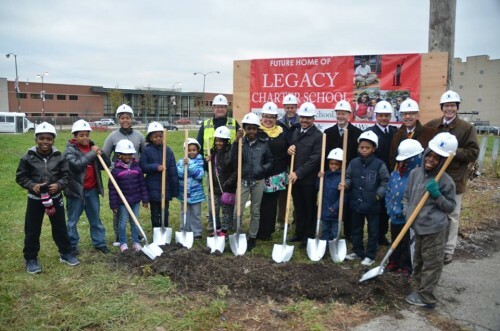 Community leaders, funders, scholars, families and students came out on the cold afternoon of November 12 for the groundbreaking of the new Legacy Charter School. It will be built from the ground up as an outstanding center for teaching and learning with deep roots and far-reaching branches. – Article in The Architect’s Newspaper: BUILDING BLOCKS Chicago’s North Lawndale charter school cuts costs and energy use.